Engelmann Spruce and Lodgepole Pine are both members of the pine wood family. Engelmann Spruce and Lodgepole Pine are similar in appearance and share many of the same characteristics. Because of their similarities, they are often processed together and marketed as ESLP. The wood trees grow at higher elevations in the western United States and throughout British Columbia. Products manufactured from ESLP include construction lumber, appearance grade boards, interior wall paneling, wainscot, ceiling paneling and soffits. Kiln-dried ESLP is a superior product for interior millwork and T&G patterns. 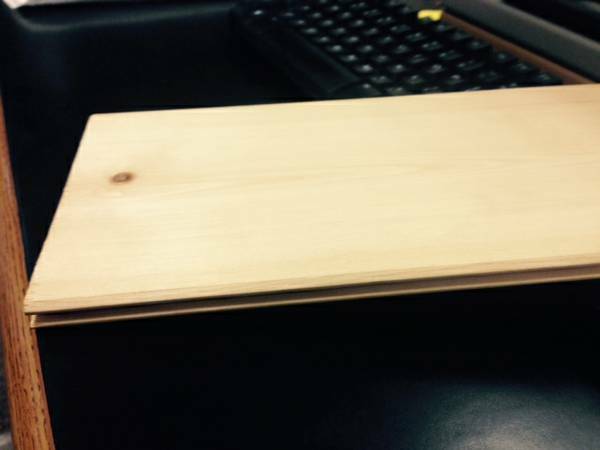 Tongue and groove for easy installation. It is light in weight, fine-grained, and reasonably strong. 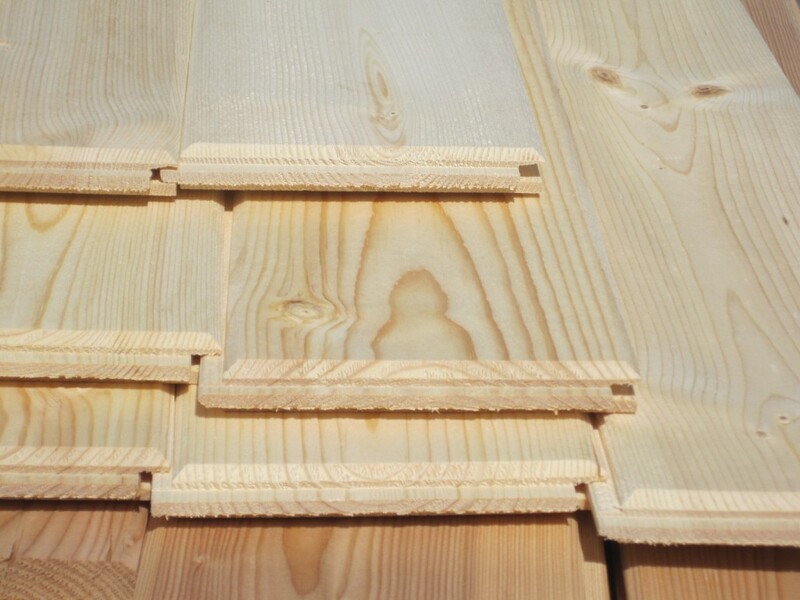 The pine wood has small, tight knots and a great appearance. We have raw material (ready to stain or paint) or with two coats of Sherwin-Williams interior UV finish. The boards are easy to cut, rip, mill and sand. Although the wood is dried to 10-12% moisture content, it is important to climatize your product in your own home for 3 weeks prior to installation. As with any wood material, proper installation is critical to long-lasting performance. Moisture is the source of many problems. As wood gains moisture it swells. As it loses moisture it shrinks. This simple fact is at the root of many installation problems such as expansion, cupping and crowning. Builders can avoid problems through proper installation techniques and by being aware of woods reaction to excessive moisture. 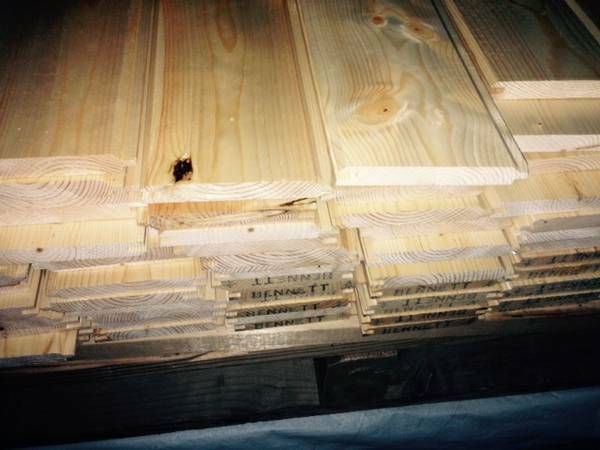 ESLP Finished 1"x 6"-16' T&G at $15.00 per board. 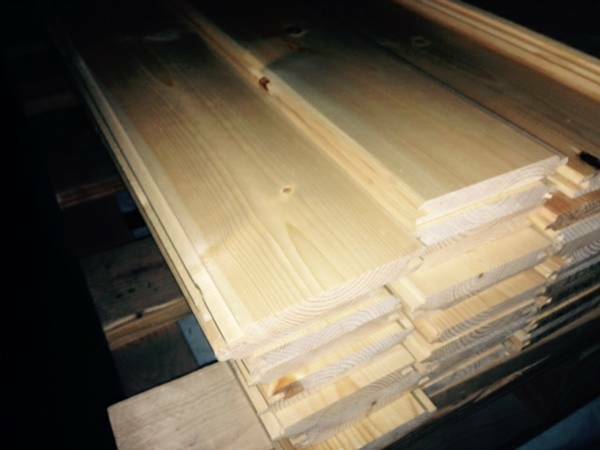 ESLP Raw 1"x 6"-14' T&G at $9.50 per board.